Last night, hours after he went to bed, Connor woke up. I went upstairs and grabbed him from his crib. We headed back downstairs and nestled ourselves in front of the tv while Ian was busy working in the other room. 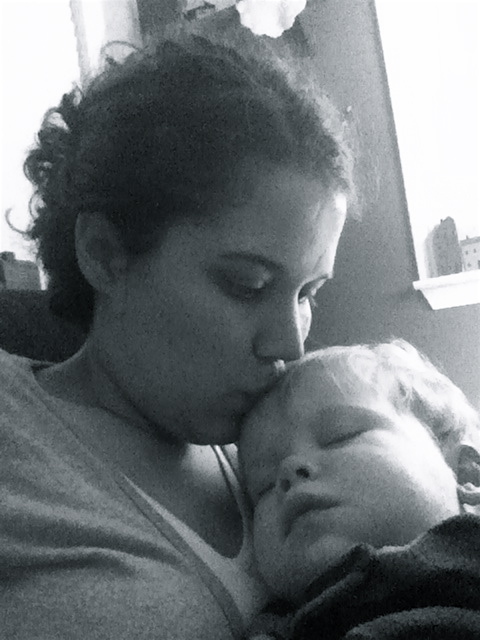 Given how tired he was, Connor fell asleep in my arms almost immediately. I love that feeling. You know the one. The warm, sleeping baby in your arms feeling. And every time it happens, I try to enjoy it as much as possible as I think this could be one of the last times. My baby is growing up. And as he does, the days of him falling asleep in my arms become few and far between. And it makes me appreciate them all the more. On the flip side, now that we are on to the toddler phase, there have become some other things that every time they happen, I kind of hope it will be the last. Things like, putting the tv remote in the dishwasher, throwing food all over the floor/walls/dog, breaking everything in site. You know what I am talking about. But I am sitting here right now, still thinking about that warm little sleeping baby in my arms last night. That little baby is all mine. And he has stole my heart like I never thought possible. My girls will still fall asleep in my arms sometimes and I savor the moments because now they are far and few between! LOVE that peaceful cuddling time with them, enjoy!